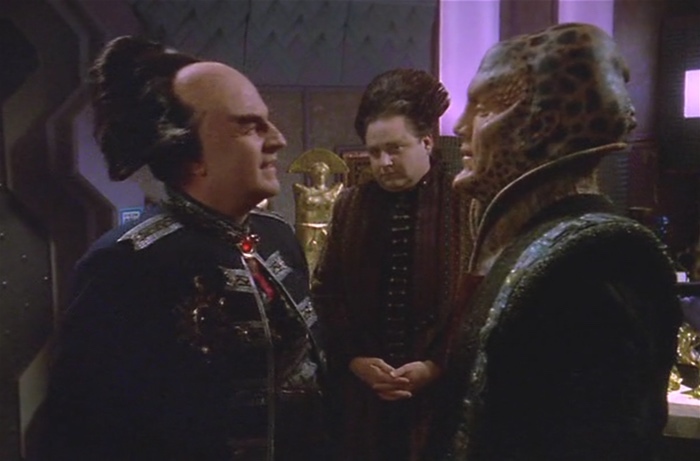 This is the trail mix of Babylon 5 episodes: a little chunk of plot here, a chewy nugget of insight here, a scattering of tasty character development, and an A-plot that doesn’t really hold everything together. Which is why it’s a trail mix and not an energy bar. And now Chip’s hungry. I just heard the intro show and I really liked the idea of doing half spoiler-free/half spoiler-full! This is definitely one show where you don’t want to be spoiled. I don’t know how, but I never even heard of this show when it first aired. I discovered it 2008 only because I had one particular online friend who was forever evangelizing everyone about it. (And now I know why!) I finally got the Netflix DVDs and was hooked pretty much right away. It was a slow start, but it kept my attention. It’s now one of my favorite shows of all time. It is certainly the best written.